Sidney James Webb, 1st Baron Passfield (July 13, 1859 – October 13, 1947) and Martha Beatrice Potter Webb (January 22, 1858 - April 30, 1943) were British socialists, economists, and reformers, the early members of the Fabian Society. Together with George Bernard Shaw, Annie Besant, Graham Wallas, Edward R. Pease, and Sidney Olivier, they turned the Fabian Society into the pre-eminent political-intellectual society in England in the Edwardian era and beyond. With their socialist ideas, Beatrice and Sidney Webb deeply influenced British political thought and British institutions. They wrote several important works in empirical sociology that provided the blueprint for the British welfare state. Their founding of the London School of Economics had a major influence on economic thought and educational institutions not only in Britain, but far beyond. All this, however, was done in a way that did not demand credit for themselves, and thus their influence is often unremarked. For the Webbs, their partnership in their work and as husband and wife—initially surprising to many, as it contravened the expectations of society in their day—together with knowing that they had been a part of laying the foundation for a new order in society was satisfaction enough. Sidney Webb was born on July 13, 1859, in London, to a professional family. His father held radical political views and supported John Stuart Mill in the 1865 General Election. Sidney started to work at the age of 16, holding down an office job. In his spare time, he studied law at Birkbeck College, University of London, obtaining qualifications to enter the Civil Service. Webb taught at the London Working Men's College and contributed to the Christian Socialist journal. While at the university, Webb developed an interest in socialist ideas, and in 1885 joined the Fabian Society. Webb agreed with the ideas of the society that capitalism had created an unjust social system and needed to be replaced with a better system. The early members of the society included Edward Carpenter, Annie Besant, Walter Crane, and George Bernard Shaw. Webb immediately started to work on finding the facts that supported society’s claims, publishing articles on different social issues. He wrote Facts for Socialists in 1887, Facts for Londoners in 1888, and The Eight Hour Day in 1891. Facts for Socialists, in particular, served as the Fabian Society's statement that public knowledge of the facts of industrial society was the essential first step toward societal reform. Webb argued for abolishing of laissez-faire and for an active role of government in economics. He rejected Marxist ideas of revolution as the necessary requirement for social change and advocated instead the need for reforms. In 1892, Webb married Beatrice Potter, who shared his interests and beliefs. The money she brought with her enabled him to give up his clerical job and concentrate on his political activities. Beatrice Potter was born on January 22, 1858, in Gloucester, England, the daughter of railway magnate Richard Potter and Laurencina Heyworth. She received basic education at her home, reading most of the works in her father’s library and enjoying discussions with her father's visitors. Her mother died while Beatrice was young. Beatrice's early life was one of privilege, and she inherited a private income upon the death of her father. However, Beatrice started to question the capitalist social system and spent long hours with the people from the working class. She helped her cousin, Charles Booth, in research for his book, The Life and Labour of the People in London, learning a great deal about the hard life of London’s poor. Beatrice Potter made several important contributions to political and economic theories of the Co-operative movement. It was, for example, she who coined the terms “Co-operative Federalism” and “Co-operative Individualism” in her 1891 book, Cooperative Movement in Great Britain. Out of these two categories, Webb identified herself as a Cooperative Federalist; a school of thought which advocated consumer cooperative societies. She argued that consumer cooperatives should form cooperative wholesale societies (by forming cooperatives in which all members are cooperatives, the best historical example being the English CWS) and that these federal cooperatives should undertake purchasing farms or factories. She was dismissive of the prospects of Worker cooperatives ushering in socialism, pointing out that—at the time she was writing—such ventures had proved largely unsuccessful. In 1882, she had a relationship with Radical politician Joseph Chamberlain, by then a Cabinet minister. She, however, renounced her passion for Chamberlain and, rebelling against the social and class norms of her time, in 1892, she decided to marry an accountant’s son, Sidney Webb. After their marriage, the Webbs continued to be active in politics. Sidney ran as the Fabian Society candidate for Deptford in the London County Council elections, winning the seat in 1892. He retained it for the next eighteen years. He was also appointed the Chairman of the Technical Instruction Committee, being known as the Minister of Public Education for London. The Webbs collaborated on numerous books, including The History of Trade Unionism (1894) and Industrial Democracy (1897). They argued that there was an urgent need for the establishment of a new political party, one that would carry socialist ideas through parliamentary elections. In 1894, wealthy solicitor Henry Hutchinson donated £10,000 to the Fabian Society. Sidney and Beatrice Webb suggested investing the money in opening a new university in London, to further the Fabian aim of bettering society, focusing on research on issues of poverty, inequality, and related issues. At the same time it was intended to revitalize the training of Britain's political and business elite, which seemed to be faltering due to inadequate teaching and research. The London School of Economics and Political Science (LSE) was founded in 1895. W. A. S. Hewins was appointed its first director and the school soon became an important center of education in Great Britain. The Webbs were strong critics of the Poor Law system in United Kingdom. In 1905, a Royal Commission was established to look into the efficacy of the system and Beatrice Webb was asked to serve as a member. Sidney Webb assisted with collecting the data. Although the commission mostly positively evaluated the system, the Webbs disagreed and published their own Minority Report. They called for abolition of the Poor Law system, establishment of a system that would be more efficient, and improvement in health and educational services. The Webbs had a high regard for the Ricardian theory of rent which they applied to capital and land (as well as labor). They argued that it was the state's responsibility to acquire this rent. They admired the Soviet Union and had high praise for Stalin’s efficiency in acquiring this rent. The Webbs also supported monopolies, believing that the negative impact of lower prices brought about by competition was always borne by the workers. They argued that monopolies thus have more room to treat the workers better. The Webbs founded the New Statesman magazine in 1913. 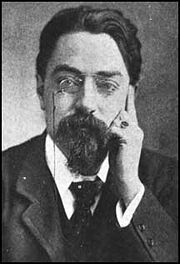 In 1915, Sidney Webb was appointed to the Labour Party National Executive, and until 1922, served as Chairman of the National Executive. When, in 1923, he won a seat in General Elections representing Labour Party in the Seaham constituency, he was appointed President of the Board of Trade in the government of Ramsay MacDonald. The Webbs were a famous couple, whose influence can be seen in their hosting of "the Coefficients," a dining club which attracted some of the leading statesmen and thinkers of the day. In 1929, Sidney Webb was created Baron Passfield, continuing as a government minister (serving as both Secretary of State for the Colonies and Secretary of State for Dominion Affairs). Although her husband became a baron, Beatrice refused to be known as Lady Passfield. In 1930, ailing health resulted in Sidney’s stepping down from the Dominions Office, but retaining the Colonial Office. Disillusioned with the lack of progress by the Labour Party in solving the problems of poverty in Britain, the Webbs visited the Soviet Union in 1932. They published a book, Soviet Communism: A New Civilization? (1935) based on their experiences there, which indicated a shift from their expectation of a natural progress of social and political reform. Although they expressed concern about the lack of political freedom in the country, they were highly impressed with the improvement in the health and educational services, as well as the political and economic equality of women. They believed that the Soviet type of planned economy would eventually spread around the world. The Webbs' final book, The Truth about Soviet Russia, published in 1942, continued to support the Soviet Union, celebrating central planning. Beatrice Webb died on April 30, 1943. Sidney Webb died four years later on October 13, 1947. Their ashes were interred in Westminster Abbey in 1947. With their socialist ideas, Beatrice and Sidney Webb deeply influenced British political thought and British institutions in the first half of the twentieth century. They wrote several important works in empirical sociology that provided the blueprint for the British welfare state. In her Minority Report, written for the Commission on the Poor Laws, Beatrice Webb designed one of the first charters for a comprehensive social security system (state pensions), 35 years before the "Beveridge Report" by William Beveridge in 1942, which led to the universal social security system. Serving from 1892 to 1910, on the London County Council, Sidney created the system of secondary state schools and the scholarship system for elementary school students. He also helped establish the technical and other post-school education in London. The Webbs founded the London School of Economics and helped reorganize the University of London into a federation of teaching institutions. Webb, Sidney. 1911. Grants in Aid: A Criticism and a Proposal. London: Longmans, Green and Co.
Webb, Sidney. 1917. The Restoration of Trade Union Conditions. London: Nisbet & Co.
Webb, Sidney and Beatrice Webb. 1897. Industrial Democracy. London: Longmans, Green, and Co.
Webb, Sidney and Beatrice Webb. 1908. The Manor and the Borough. London: Longmans, Green, and Co.
Webb, Sidney and Beatrice Webb. 1921. The Consumer's Cooperative Movement. London: Longmans, Green, and Co.
Webb, Sidney and Beatrice Webb. 1935. Soviet Communism: A New Civilization? London: Longmans, Green, and Co.
Webb, Sidney and Beatrice Webb. 1942. The Truth about Soviet Russia. London: Longmans, Green, and Co.
Cole, Margaret. 1961. The Story of Fabian Socialism. Stanford, CA: Stanford University Press. Muggeridge, Kitty & Ruth Adam. 1968. Beatrice Webb: A Life, 1858-1943. New York: Knopf. History of "Sidney and Beatrice Webb"
This page was last modified on 16 September 2015, at 20:55.